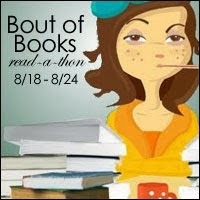 Update for Day 6 of the Read-A-Thon sponsored by Bout Of Books! This Read-A-Thon is SO MUCH FUN! I've ONLY been reading, reading, and doing MORE reading! So much reading that I forgot the laundry in the washing machine and had to wash it 3 times because it smelled since I forgot it and left it in the washer! LOL! It's in there all done for the 3rd time, ready for the dryer, so I'll go do that after this post! I've NEVER done that before! NEVER! This is the current book I am reading since Thursday afternoon! I spent ALL DAY Friday reading this book! LOVE it! Read ALL DAY Friday and now I'm almost finished, and I will finish this tonight! I started this book Thursday, August 21st at 6:00am, but actually a little later that afternoon because I had NOT SLEPT THE ENTIRE NIGHT BEFORE! Why? My nose was into The Hidden Girl by Louise Millar from the day before! I had a Dr appointment, and after that I was EXHAUSTED! I have spent ALL of Friday reading this book! This is such a GREAT book, but THIS BOOK - IS SO AMAZING! You know I'll be writing a review on ALL the books, but really keep your eye out for THIS BOOK'S REVIEW! It releases on Tuesday, September 2nd, and that is the day my review will be posted! I really didn't get to read this much on Thursday because I was SO tired from staying up all night the night before, and then Thursday night is Project Runway night! See yesterday's post! LOL! I'll tell you a little more about this book tomorrow after I'm finished with it later tonight, but I can tell you one thing, I am FLYING THROUGH THE PAGES! WOW! It is SO GOOD! I can't remember a book where I have just FLOWN through it like this taking it all in! Of course, I had other things to do, too, around the house like we ALL do! (AND, things have been neglected a little, too! LOL!) So I did have to take some time to do some things! See you tomorrow with today's updates! Edit: I actually finished this book on Saturday, August 23rd. It was a LOT longer, and longer than what I thought it was on Friday! I guess that's why we don't forecast what we are going to read or what we will finish until THAT DAY! 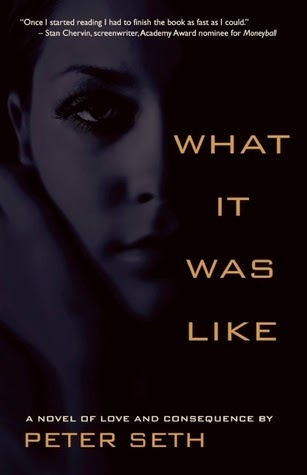 This was and is a 5++++ Book! OUTSTANDING!!! Take a photo, make a graphic or even a list and share your word on your blog, Facebook, Twitter or Goodreads. Submit a link to your post in the linky below! You’ll get an extra FIVE entries in the Rafflecopter international giveaway for an eBook of your choice (Amazon or B&N, up to $10 USD) for participating in this challenge. You MUST be participating in Bout of Books 11.0 to be eligible to win the giveaway, but you can always post your answer in the comments just for fun if you aren’t a participant. I'll have to write a list since I currently don't own a camera. HERE GOES! I'll use MY NAME! That was FUN! Had to use my Goodreads list, and it helped a lot! See you tomorrow for today's Update! Day 6 Update and LAST DAY for the Read-A-Thon!